NON-SMOKER, FRESH TRADE, THIRD ROW. 20/26 City/Highway MPG Priced below KBB Fair Purchase Price! Clean CARFAX. NON-SMOKER, FRESH TRADE, BELOW MARKET PRICE, ALLOY WHEELS. Odometer is 14342 miles below market average! Priced below KBB Fair Purchase Price! Wow would you look at this Vehicle! Comes with a 15 year/100,000 Mile Power train warranty with all Certified used vehicles. Our KIA Certified used vehicles come with so much more, 70-Point inspection to make sure our vehicles are in tip top shape before we put them on our lot! And check out our complimentary offer we have here which comes with all of our used cars, no matter how many miles or years. 3 oil changes up to 15 k miles Complimentary roadside assistance (Better than AAA) Tire rotation. Emergency fuel delivery. Jump starts. Lock out help. Towing for mechanical breakdown. And so much more! Feel free to come on in and visit us here at KIA of Portland if you’re in the market for a new or used car, we have a huge selection to choose from, at 307 NE Broadway St., Portland Or, 97232. 503-821-8265. Clean CARFAX. ONE OWNER, FRESH TRADE. 28/37 City/Highway MPG Odometer is 24406 miles below market average! Priced below KBB Fair Purchase Price! Wow would you look at this Vehicle! Comes with a 15 year/100,000 Mile Power train warranty with all Certified used vehicles. Our KIA Certified used vehicles come with so much more, 70-Point inspection to make sure our vehicles are in tip top shape before we put them on our lot! And check out our complimentary offer we have here which comes with all of our used cars, no matter how many miles or years. 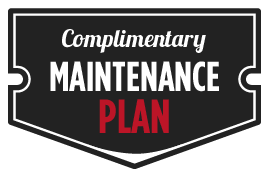 3 oil changes up to 15 k miles Complimentary roadside assistance (Better than AAA) Tire rotation. Emergency fuel delivery. Jump starts. Lock out help. Towing for mechanical breakdown. And so much more! 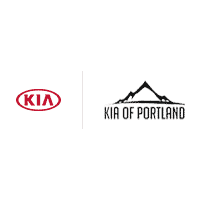 Feel free to come on in and visit us here at KIA of Portland if you’re in the market for a new or used car, we have a huge selection to choose from, at 307 NE Broadway St., Portland Or, 97232. 503-821-8265. COME MAKE AN OFFER!!! ITS GOT TO GO! CARFAX One-Owner. Clean CARFAX. Features: **THIS VEHICLE IS TOYOTA OF PORTLAND CERTIFIED**, **BLUETOOTH**, **FRESH TRADE**, **BACKUP CAMERA**, **MP3**, **NEW TIRES**, Optima LX, 2.4L I4 DGI DOHC, 6-Speed Automatic with Sportmatic, FWD, 4-Wheel Disc Brakes, 6 Speakers, ABS brakes, AM/FM radio: SiriusXM, Anti-whiplash front head restraints, Dual front impact airbags, Radio data system, Radio: AM/FM/MP3/SiriusXM Audio System. Certified. Certification Program Details: The Toyota of Portland Certified Program Cars Enjoy the Following Advantages: 1.Seven Year /100,000 mile limited powertrain warranty. * Includes Free Loaner if your car is being serviced overnight-12 months/ 15000 miles. 2. One Year Roadside assistance 3. Three free oil changes included- 12 months/ 15000 miles 4. 70 Point Inspection 5. Pre-Owned Protection Kit- Power steering conditioner, gear additive, & lube assembly, cooling system treatment and fuel conditioner. 6. Free Carfax History Report. 7. 10% Discount on any future service and parts for 12 months or 15,000 miles. 8. Exchange Program: If you don't like the vehicle for any reason, you may exchange it the next day- the day after purchase only. No questions asked!! Vehicle Must be in similar condition as purchased and can't have more than 200 miles more than was on vehicle at time of purchase. Priced below KBB Fair Purchase Price! Odometer is 4217 miles below market average! 25/36 City/Highway MPG Come to www.toyotaofportland.com to See Our Specials!! Call (503) 280-9810 for help with any service we provide. You may have never heard of the O'Brien Auto Group but we've been around and local since 1986. Our philosophy is very simple: Make your buying and ownership experience as easy and as enjoyable as possible. CARFAX One-Owner. Clean CARFAX. ONE OWNER, FRESH TRADE, BACKUP CAMERA. 25/36 City/Highway MPG Odometer is 19246 miles below market average! Priced below KBB Fair Purchase Price! Wow would you look at this Vehicle! Comes with a 15 year/100,000 Mile Power train warranty with all Certified used vehicles. Our KIA Certified used vehicles come with so much more, 70-Point inspection to make sure our vehicles are in tip top shape before we put them on our lot! And check out our complimentary offer we have here which comes with all of our used cars, no matter how many miles or years. 3 oil changes up to 15 k miles Complimentary roadside assistance (Better than AAA) Tire rotation. Emergency fuel delivery. Jump starts. Lock out help. Towing for mechanical breakdown. And so much more! Feel free to come on in and visit us here at KIA of Portland if you’re in the market for a new or used car, we have a huge selection to choose from, at 307 NE Broadway St., Portland Or, 97232. 503-821-8265. Clean CARFAX. ONE OWNER, FRESH TRADE. 25/34 City/Highway MPG Odometer is 10466 miles below market average! Priced below KBB Fair Purchase Price! Wow would you look at this Vehicle! Comes with a 15 year/100,000 Mile Power train warranty with all Certified used vehicles. Our KIA Certified used vehicles come with so much more, 70-Point inspection to make sure our vehicles are in tip top shape before we put them on our lot! And check out our complimentary offer we have here which comes with all of our used cars, no matter how many miles or years. 3 oil changes up to 15 k miles Complimentary roadside assistance (Better than AAA) Tire rotation. Emergency fuel delivery. Jump starts. Lock out help. Towing for mechanical breakdown. And so much more! Feel free to come on in and visit us here at KIA of Portland if you’re in the market for a new or used car, we have a huge selection to choose from, at 307 NE Broadway St., Portland Or, 97232. 503-821-8265. ONE OWNER, FRESH TRADE. 29/37 City/Highway MPG Odometer is 11393 miles below market average! Priced below KBB Fair Purchase Price! Wow would you look at this Vehicle! Comes with a 15 year/100,000 Mile Power train warranty with all Certified used vehicles. Our KIA Certified used vehicles come with so much more, 70-Point inspection to make sure our vehicles are in tip top shape before we put them on our lot! And check out our complimentary offer we have here which comes with all of our used cars, no matter how many miles or years. 3 oil changes up to 15 k miles Complimentary roadside assistance (Better than AAA) Tire rotation. Emergency fuel delivery. Jump starts. Lock out help. Towing for mechanical breakdown. And so much more! 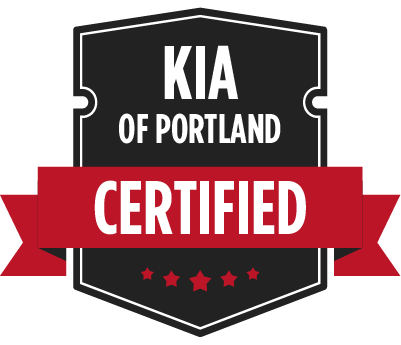 Feel free to come on in and visit us here at KIA of Portland if you’re in the market for a new or used car, we have a huge selection to choose from, at 307 NE Broadway St., Portland Or, 97232. 503-821-8265. Clean CARFAX. 29/37 City/Highway MPG Priced below KBB Fair Purchase Price! Wow would you look at this Vehicle! Comes with a 15 year/100,000 Mile Power train warranty with all Certified used vehicles. Our KIA Certified used vehicles come with so much more, 70-Point inspection to make sure our vehicles are in tip top shape before we put them on our lot! And check out our complimentary offer we have here which comes with all of our used cars, no matter how many miles or years. 3 oil changes up to 15 k miles Complimentary roadside assistance (Better than AAA) Tire rotation. Emergency fuel delivery. Jump starts. Lock out help. Towing for mechanical breakdown. And so much more! Feel free to come on in and visit us here at KIA of Portland if you’re in the market for a new or used car, we have a huge selection to choose from, at 307 NE Broadway St., Portland Or, 97232. 503-821-8265. CARFAX One-Owner. Clean CARFAX. ONE OWNER, FRESH TRADE, BELOW MARKET PRICE, BOUGHT HERE-SERVICED HERE. 29/37 City/Highway MPG Odometer is 12094 miles below market average! Priced below KBB Fair Purchase Price! Wow would you look at this Vehicle! Comes with a 15 year/100,000 Mile Power train warranty with all Certified used vehicles. Our KIA Certified used vehicles come with so much more, 70-Point inspection to make sure our vehicles are in tip top shape before we put them on our lot! And check out our complimentary offer we have here which comes with all of our used cars, no matter how many miles or years. 3 oil changes up to 15 k miles Complimentary roadside assistance (Better than AAA) Tire rotation. Emergency fuel delivery. Jump starts. Lock out help. Towing for mechanical breakdown. And so much more! Feel free to come on in and visit us here at KIA of Portland if you’re in the market for a new or used car, we have a huge selection to choose from, at 307 NE Broadway St., Portland Or, 97232. 503-821-8265. Clean CARFAX. ONE OWNER, FRESH TRADE, BACKUP CAMERA. 24/34 City/Highway MPG Odometer is 4650 miles below market average! Wow would you look at this Vehicle! Comes with a 15 year/100,000 Mile Power train warranty with all Certified used vehicles. Our KIA Certified used vehicles come with so much more, 70-Point inspection to make sure our vehicles are in tip top shape before we put them on our lot! And check out our complimentary offer we have here which comes with all of our used cars, no matter how many miles or years. 3 oil changes up to 15 k miles Complimentary roadside assistance (Better than AAA) Tire rotation. Emergency fuel delivery. Jump starts. Lock out help. Towing for mechanical breakdown. And so much more! Feel free to come on in and visit us here at KIA of Portland if you’re in the market for a new or used car, we have a huge selection to choose from, at 307 NE Broadway St., Portland Or, 97232. 503-821-8265. CARFAX One-Owner. ONE OWNER, FRESH TRADE, BELOW MARKET PRICE, BOUGHT HERE-SERVICED HERE, BACKUP CAMERA, ALLOY WHEELS, LEATHER. Odometer is 18399 miles below market average! Priced below KBB Fair Purchase Price! Wow would you look at this Vehicle! Comes with a 15 year/100,000 Mile Power train warranty with all Certified used vehicles. Our KIA Certified used vehicles come with so much more, 70-Point inspection to make sure our vehicles are in tip top shape before we put them on our lot! And check out our complimentary offer we have here which comes with all of our used cars, no matter how many miles or years. 3 oil changes up to 15 k miles Complimentary roadside assistance (Better than AAA) Tire rotation. Emergency fuel delivery. Jump starts. Lock out help. Towing for mechanical breakdown. And so much more! Feel free to come on in and visit us here at KIA of Portland if you’re in the market for a new or used car, we have a huge selection to choose from, at 307 NE Broadway St., Portland Or, 97232. 503-821-8265. CARFAX One-Owner. Clean CARFAX. ONE OWNER, BELOW MARKET PRICE, BACKUP CAMERA, ALLOY WHEELS, LEATHER, PUSH BUTTON START. Odometer is 1874 miles below market average! Priced below KBB Fair Purchase Price! Wow would you look at this Vehicle! Comes with a 15 year/100,000 Mile Power train warranty with all Certified used vehicles. Our KIA Certified used vehicles come with so much more, 70-Point inspection to make sure our vehicles are in tip top shape before we put them on our lot! And check out our complimentary offer we have here which comes with all of our used cars, no matter how many miles or years. 3 oil changes up to 15 k miles Complimentary roadside assistance (Better than AAA) Tire rotation. Emergency fuel delivery. Jump starts. Lock out help. Towing for mechanical breakdown. And so much more! Feel free to come on in and visit us here at KIA of Portland if you’re in the market for a new or used car, we have a huge selection to choose from, at 307 NE Broadway St., Portland Or, 97232. 503-821-8265. CARFAX One-Owner. Clean CARFAX. ONE OWNER, GPS/NAVIGATION, FRESH TRADE, BELOW MARKET PRICE, BOUGHT HERE-SERVICED HERE, BACKUP CAMERA, awd. Odometer is 2940 miles below market average! Wow would you look at this Vehicle! Comes with a 15 year/100,000 Mile Power train warranty with all Certified used vehicles. Our KIA Certified used vehicles come with so much more, 70-Point inspection to make sure our vehicles are in tip top shape before we put them on our lot! And check out our complimentary offer we have here which comes with all of our used cars, no matter how many miles or years. 3 oil changes up to 15 k miles Complimentary roadside assistance (Better than AAA) Tire rotation. Emergency fuel delivery. Jump starts. Lock out help. Towing for mechanical breakdown. And so much more! Feel free to come on in and visit us here at KIA of Portland if you’re in the market for a new or used car, we have a huge selection to choose from, at 307 NE Broadway St., Portland Or, 97232. 503-821-8265. CARFAX One-Owner. Clean CARFAX. NEW TIRES, ONE OWNER, MOONROOF/SUNROOF, GPS/NAVIGATION, FRESH TRADE, BELOW MARKET PRICE, BACKUP CAMERA. Odometer is 21821 miles below market average! Priced below KBB Fair Purchase Price! Wow would you look at this Vehicle! Comes with a 15 year/100,000 Mile Power train warranty with all Certified used vehicles. Our KIA Certified used vehicles come with so much more, 70-Point inspection to make sure our vehicles are in tip top shape before we put them on our lot! And check out our complimentary offer we have here which comes with all of our used cars, no matter how many miles or years. 3 oil changes up to 15 k miles Complimentary roadside assistance (Better than AAA) Tire rotation. Emergency fuel delivery. Jump starts. Lock out help. Towing for mechanical breakdown. And so much more! Feel free to come on in and visit us here at KIA of Portland if you’re in the market for a new or used car, we have a huge selection to choose from, at 307 NE Broadway St., Portland Or, 97232. 503-821-8265.